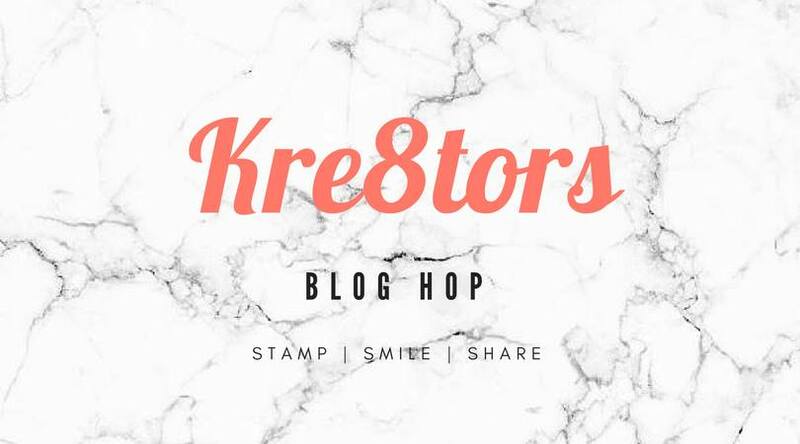 Welcome to the 2018 Kre8tors Blog Hop for November and this month our theme is birthdays, in honor of our blog hop organizer, Melissa, who is celebrating her birthday. We have demonstrators from all over the world sharing their wonderful projects with you today to help inspire you to create your own creations. You may have just visited Janey's blog or perhaps you are starting your journey here with me. I hope that you will enjoy this blog hop. 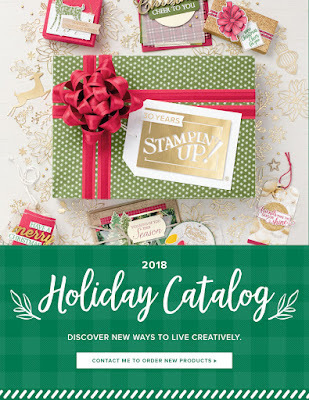 For my birthday card design, I decided to use one of the papers from the beautiful Frosted Floral Specialty Designer Series Paper (item #147800) in the 2018 Holiday Catlog and combine it with the Label Me Pretty stamp set from the 2018-2019 Annual Catalog. 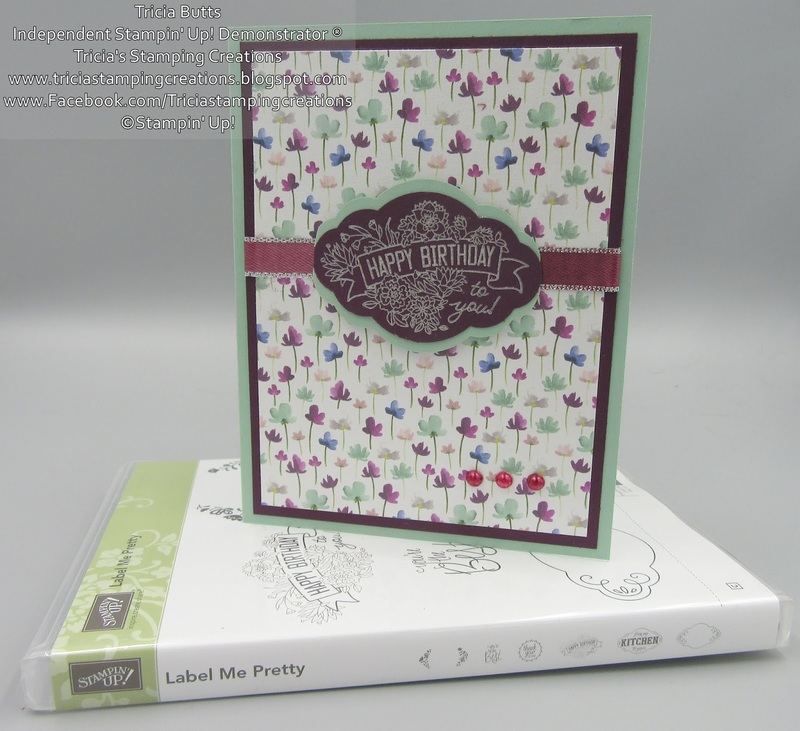 I love the soft, pretty pattern of this paper and coordinated beautifully with the Happy Birthday image in the stamp set. To create the card I used Mint Macaron cardstock for the card base and added a layer of Blackberry Bliss cardstock to matte the designer series paper layer. I stamped the image onto Blackberry Bliss cardstock with Versamark ink and heat embossed it using Silver embossing powder to make the design pop. I punched out the design using the Pretty Label punch (item #143715) and punched out a matte from Mint Macaron cardstock. 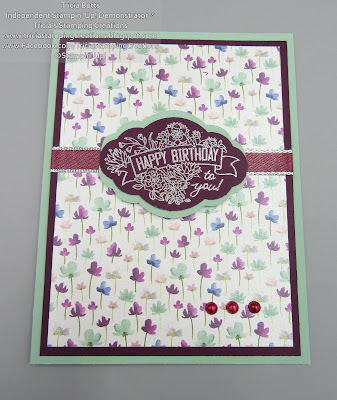 The Silver 3/8" Metallic Edge Ribbon has been colored using the Dark Blackberry Bliss Stampin' Blend Marker to coordinate and I also used the marker to color three of the larger Basic Pearls to embellish the bottom of the card. This birthday card has an almost Spring-like feel to it, which is pretty amazing when you consider that the designer series paper works perfectly for winter projects. Thank you for taking the time to visit my blog. I hope you enjoyed the birthday card I created and I hope it inspires you to create your own beautiful cards. Now it's time to visit Sandra's blog and see what she has to share with us this month. Just click on the Next button to visit her blog or use the Roll Call List to find your way. Lovely card! I like the silver embossing! It really pops on this card! 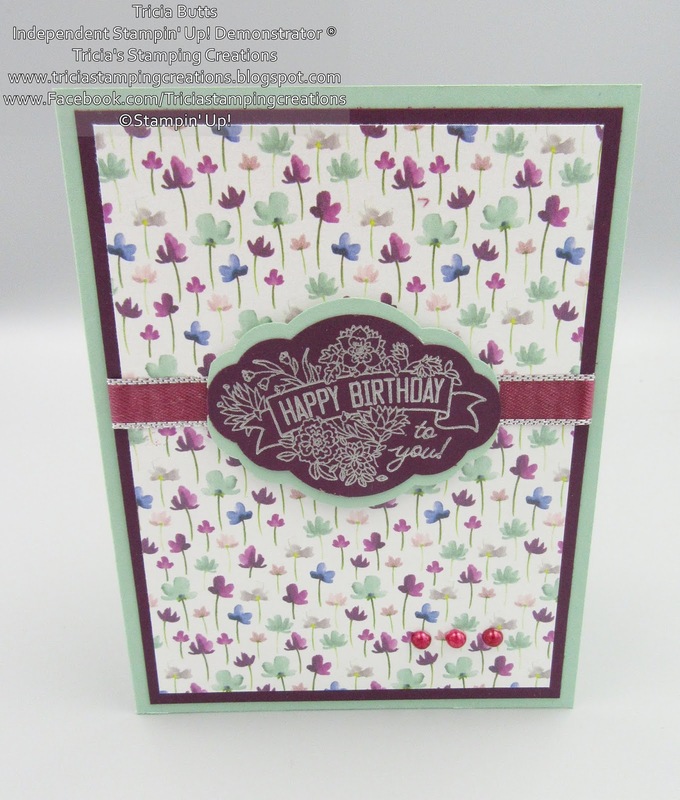 Beautiful use of the Pretty Label Punch, Tricia! It's a lovely combination of the Annual product with a Holiday product. the stamp is perfect for that DSP. 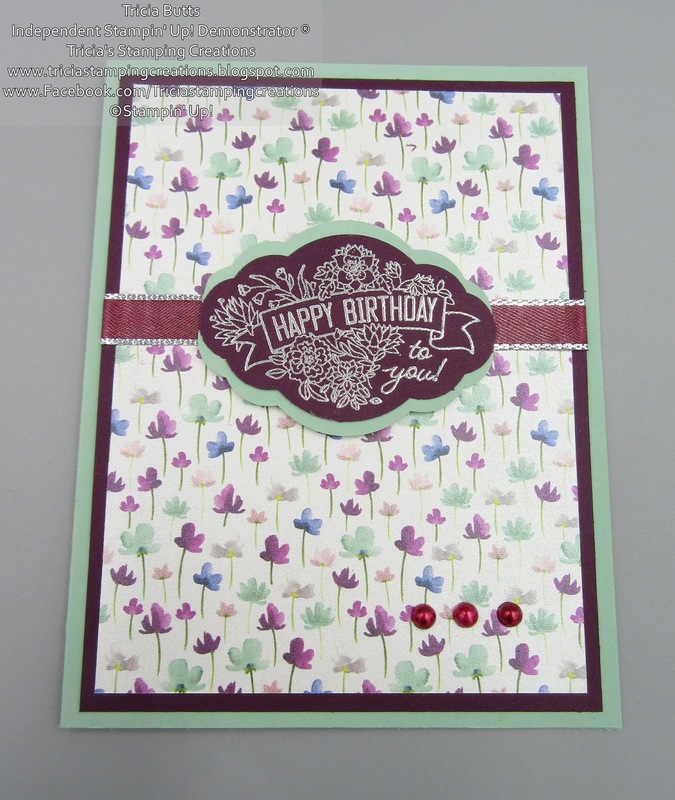 I love your combination - Love the punch and embossing. I need to get that Label Me Pretty off my shelf and use it again! Very pretty card, every time I see those pretty labels I want that punch! Oh my goodness, I love that we both used the same colors!! And I have the Label Me Pretty stamp set, but have NEVER noticed that birthday stamp before! I have to get it out and have another play with it! Thank you for your beautiful project and for hopping with us! 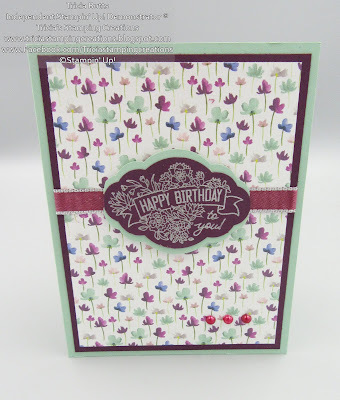 What a gorgeous card - I adore that DSP and your card really showcased it! You did a great job in customising the ribbon and pearls. Very clever! Aren't these products versatile and beautiful? I love your card!